We live in an old house, on three levels. Its always been a challenge to achieve consistent wifi coverage throughout the house. We neglected to install ethernet cabling when we renovated and have been struggling with wifi issues ever since. We tried power-line networking (Devolo, TP-Link) and, although it worked most of the time, it provided very inconsistent performance and it was impossible to figure out why. We then reverted to a central wireless router and range extenders (Apple, TP-Link). Coverage was pretty bad in many parts of the house. 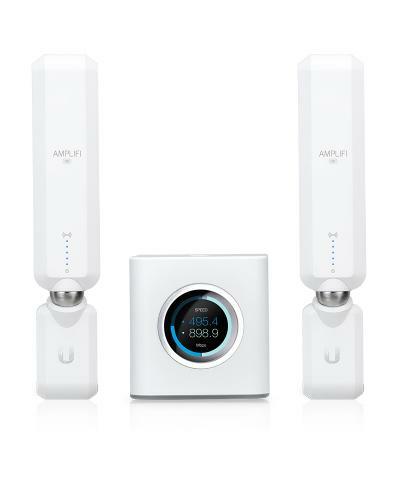 Last weekend, we installed the AmplifiHD mesh networking system from Ubiquiti and we finally have the full performance of our internet provider (40-60Mbps LTE, depending on the time of day) from any or all devices, anywhere in the house.